Google’s annual #MadeByGoogle hardware event just got over, and while the Pixel 3 duo took the headlines, there were some other interesting announcements from the internet giant. Out of all the features, the Ambient EQ is probably my favorite one. It uses a combination of a dedicated sensor and imaging algorithm to fine-tune the brightness and color balance of the display to match the ambient lighting of the room. Additionally, if you have smart bulbs that automatically change their color temperature based on time of the day, the Google Home Hub will change accordingly to match them as well. It is also worth pointing out that the Google Home Hub will automatically turn off at night so that you can get a peaceful sleep. If you happen to have a lot of smart connected devices in your home, then the Google Home Hub will let you manage all of them from one place. Yes, there is a dashboard that shows you the state of all connected device in one, and it is called Home View. Home View feature as shown on stage. Besides a single hub control menu, Home View will also show dedicated pages for different smart devices from where you can control them separately and more control over them. Once you are in the Home View dashboard, you can swipe to reveal dedicated options to, say, turn off your Phillips Hue light or adjust the thermostat. Google also made a huge deal about Home View’s ability to show live feeds from Nest doorbells, but that’s something that you can do with the Pixel Stand as well. Since your Google Home Hub will spend a lot of time sitting on a table or your kitchen countertop, Google will let you turn it into a digital photo frame. Yes, thanks to the Live Albums feature, your Google Home Hub will automatically create albums from photos you save in the cloud. Live Albums feature as shown on stage. 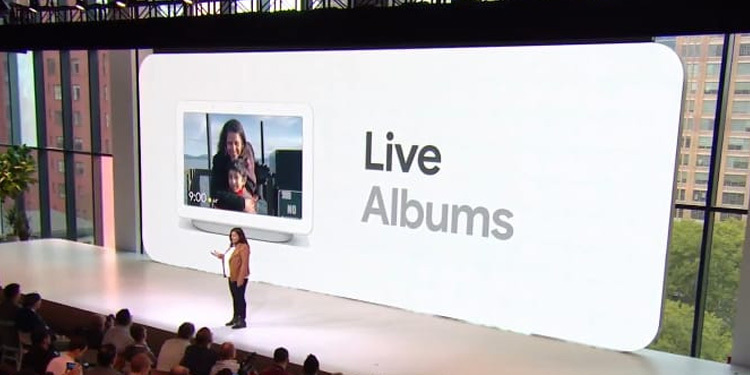 According to Google, the Live Albums feature use machine learning to filter the best photos to be displayed on the Google Home Hub. Yes, you can count on Google to leave out blurry photos, duplicate shots, etc. Again, you can also achieve this with the Pixel Stand, but hey, it doesn’t hurt to have your beautiful moments on a larger screen, right? This is more of a bonus feature that I decided to throw in. The Google Home Hub, in case you are wondering, doesn’t have a camera. Yes, it could be seen as a positive move by privacy nerds, but it also at a price. No camera means you won’t be able to use the Google Home Hub for Duo calls. 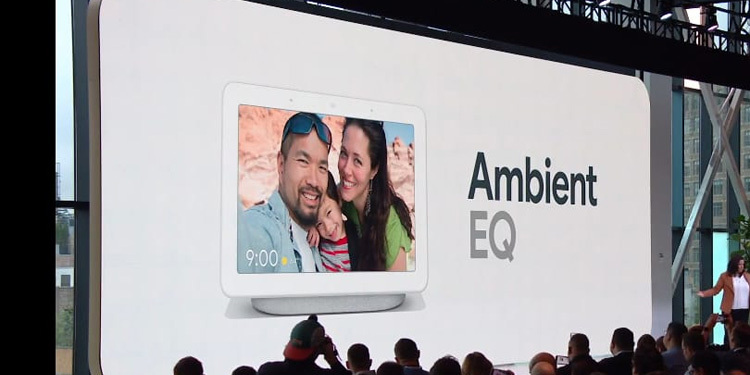 It may not a deal breaker, but it makes it less appealing than the Echo Show, which allows video calling. Google decided to justify by making the privacy conscious happy, but we all know that’s just one of the reasons. 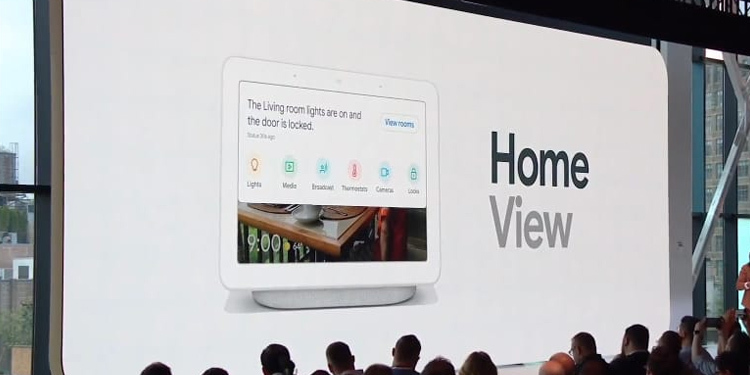 If Google really wanted to make it comfortable to use in private places of a house, then they could have added a camera cover, just like Facebook’s Portal. The way I see it, it’s more cost-cutting measure. 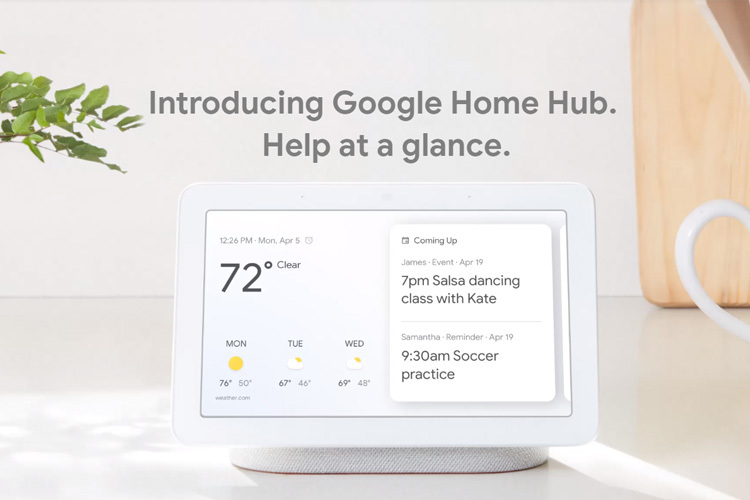 Anyway, which feature, according to you, makes the Google Home Hub an interesting product? Let us know in the comments below.